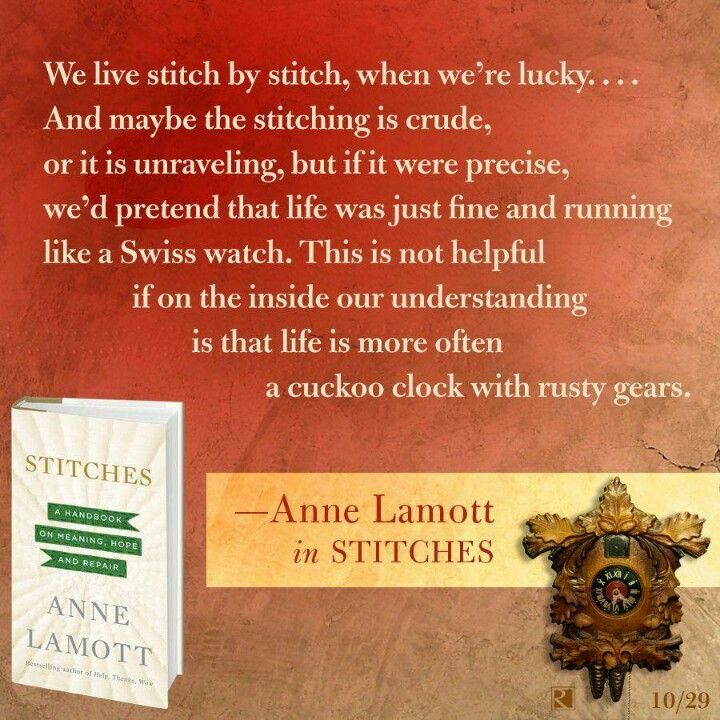 I finished Stitches last week and enjoyed it, though I was left wanting a bit more. Lucky for me, my mom brought Help, Thanks, Wow to borrow (which I gave to her at Christmas). I have yet to start it; maybe I’ll be able to sneak in a few pages today. I’ve also been reading class material on website development, which will help me at work. And I’m finally going to be taking nutmegknitter to it’s very own dot-com! Exciting stuff! In the last week I have knit on my March Socks and a crochet scarf. The heels are turned on the socks, so now it’s a matter of deciding how tall I want the legs to be. There is a strong temptation to make these socks shortie-style just to be done with them. On the other hand, the yarn is an MCN blend and I don’t want to stop knitting with it. The crochet scarf is a challenge project for Team Stitchosaurs and the eatsleepknit Yarn Marathon. It has been a long while since I joined any sort of yarn club or bought any themed kits, but I did treat myself last week. From the Stockinette Zombies podcast I learned about Little Skein on etsy, when she did a custom kit focused around the Extra Yarn book. This latest kit is focused on the children’s book “I Love You as Much”. We used to read this to my daughter and she would act out the parts with her dad (adorable!) and we’ve been reading it to my son and when I tell him I love him to the moon and back when I put him to bed, he replies with “and across the river”. So I stalked the update and purchased it. I have to say, I am completely sold and would buy any other kit that Anne creates. The are on par with the kits I had bought in the past from WoolGirl. Not only is the bag well made, but everything in the kit so nicely fits the theme – the yarn, the pattern, the stitch markers, the candy…. I love it! I am already putting the bag to good use and it is holding a new project, bunny-themed of course. 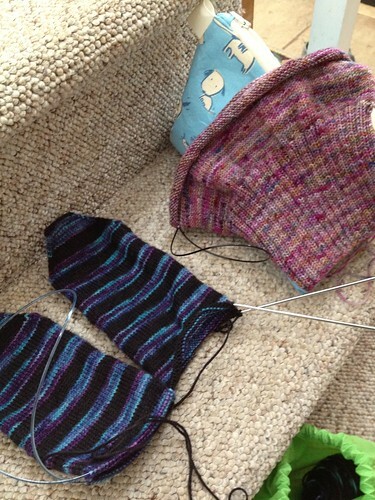 I have one leg done, but I think holding the yarn doubled was not a smart choice as the fabric is too stiff. So I don’t really have much to show you there.